Here at Play at Home Mom, we typically provide activities that play off of the interests of our children, but this is something I did with my students when I was a teacher. It encouraged verbalization, communication, storytelling, etc. 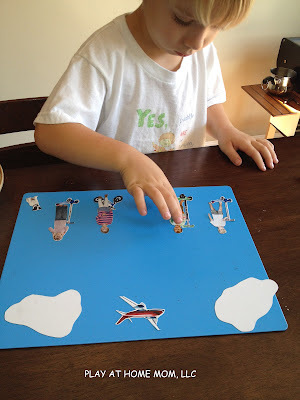 I created these DIY STORY TELLING MAGNETS in hopes that my son might take interest……to inspire him. I would say he enjoys them – and I love watching his stories and imagination take shape - but he’s way more interested in playing baseball these days….hours and hours of baseball. 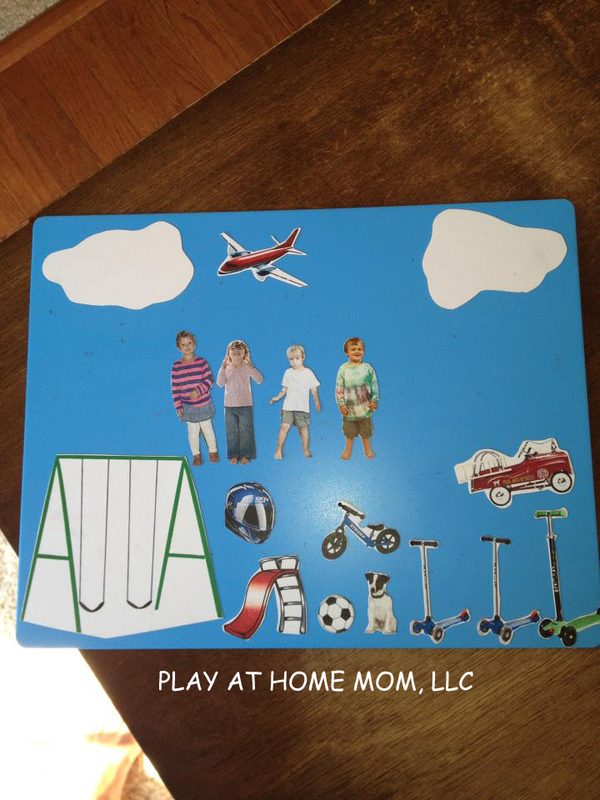 · PICTURES – head to toe shots of friends and family, clip art, and/or pictures of toys or other items your child loves. I used Microsoft word, inserted a 3x3 table, and then inserted a picture into each section. This helped insure that all of my pictures were relatively the same size. Lastly, I printed the pictures directly onto the magnet sheets and cut them out. Playing with the magnets....everyone is riding a scooter or bike. So cute! I plan to make more magnets – more friends and family, and more creative pictures that I know my son will love. what did you use to stick the magnets on? What is that blue magnetic board? It is perfect for taking in the car for storytime. Love your blog and this idea is fantastic!